In recent years, the world of live streaming video has undergone a massive transformation. Today, the value proposition for the streaming video industry has never been clearer. 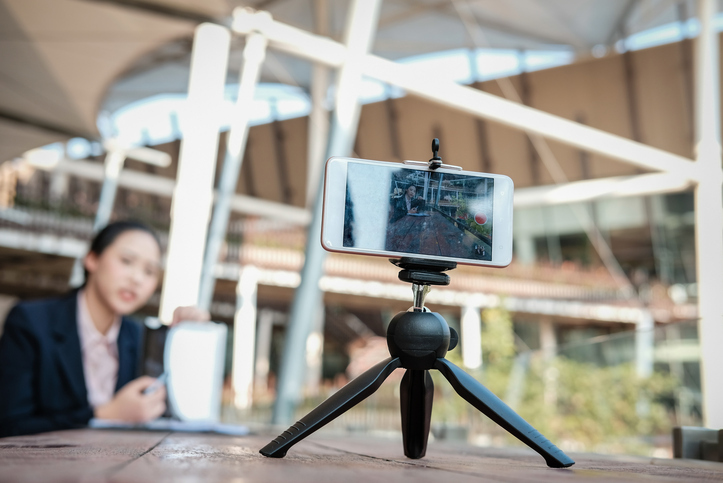 As broadcasting live video becomes easier and more accessible, more people, businesses, and organizations are jumping on this technology bandwagon. One result of this trend is an increase in the number of video streaming platforms. A decade ago, there were only a handful of businesses operating in this industry. Today, there are dozens. 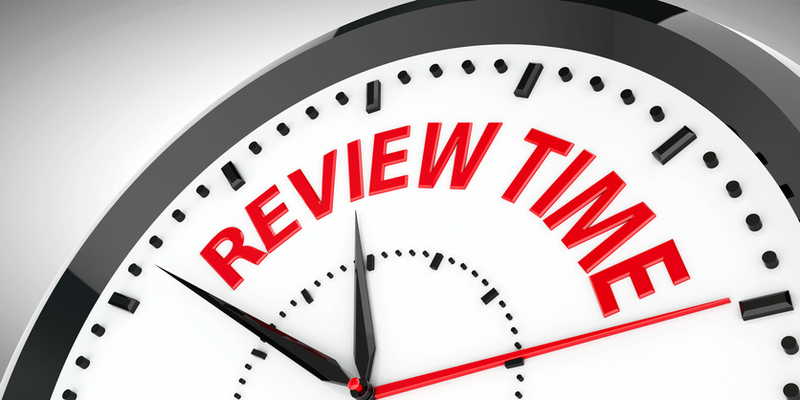 It can be overwhelming to review all of the existing streaming solutions. For that reason, we work hard to keep you informed with articles featuring up-to-date comparisons of the major live streaming players. In this article, we’ll compare the features, benefits, and downsides of three of the major live streaming platforms. These platforms include JW Live and JW Player alternatives Kaltura and DaCast. Anytime you’re comparing products, it’s important to take methodology into account. In this case, we’ve primarily sourced information for this comparison from the websites of the three providers. We’ve also signed up for free trials when possible. 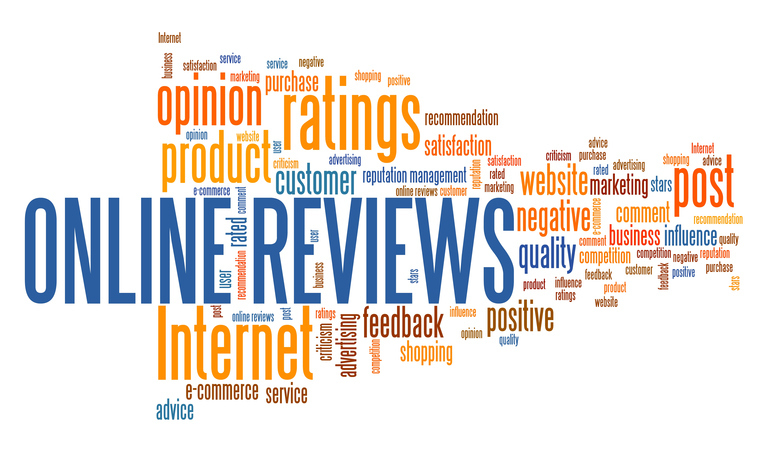 Additionally, we’ve consulted with other users and researched public reviews of these products. If you have more updated information about any of the JW Player alternatives we cover here, let us know in the comments! We’ll update the article as soon as we can, and we always appreciate your feedback. Now let’s jump right into a comparison of JW Live and JW Player alternatives Kaltura and DaCast! 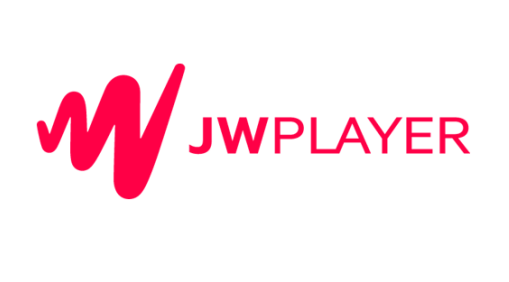 Before we can consider JW Player alternatives, let’s take a closer look at one of the top players in the online video industry: JW Player. Jeroen “JW” Wijering wrote the software we now know as JW Player. In 2005, Wijering was a student in the Netherlands. As a project, he wrote a small piece of open-source code to play audio and video files. This soon became the basic video player for the fledgling YouTube. YouTube used JW Player until Google acquired JW Player. Today a great number of people use this player. The JW Player HTML5 video player is currently installed on more than 2 million websites. It streams billions of videos per month. In recent years, JW Player (the company) has expanded its video offerings beyond on-demand content. 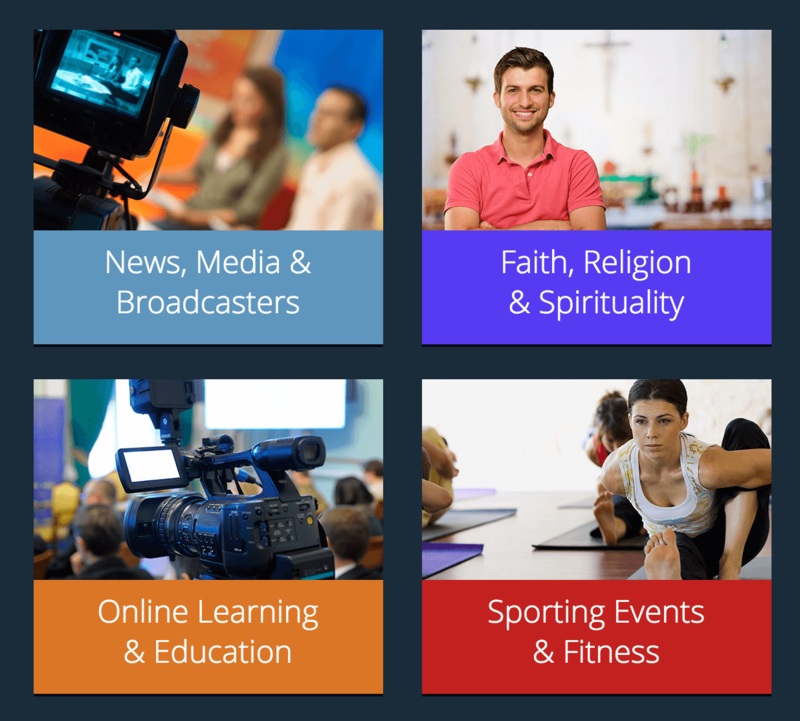 One of these services is JW Live, a full service, end-to-end live streaming provider. At the time of this writing, do note that this service is available only for JW Player’s Business and Enterprise customers. JW Live advertises itself as being simple to use. 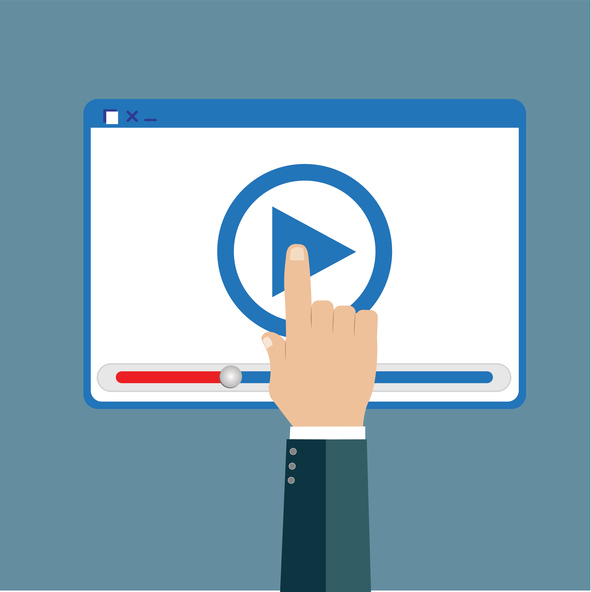 JW Player outlines a four-step process for beginning a live stream. This involves creating a stream, entering details, connecting a source stream, and going live. Adaptive HLS: HLS is a live streaming video protocol that both iOS and Android mobile devices support. Adaptive means that the stream automatically adjusts to the internet speeds of the viewer. Those with slow connections will receive lower quality video. Viewers with faster broadband can access video in up to 1080p high-definition instead. Simulcast to Facebook Live: This feature allows your stream to be linked to Facebook. Userscan automatically broadcast a stream there, as well as in other locations. Real-time analytics: This means accessto the number of viewers, geographic information, device data, and more in real time. 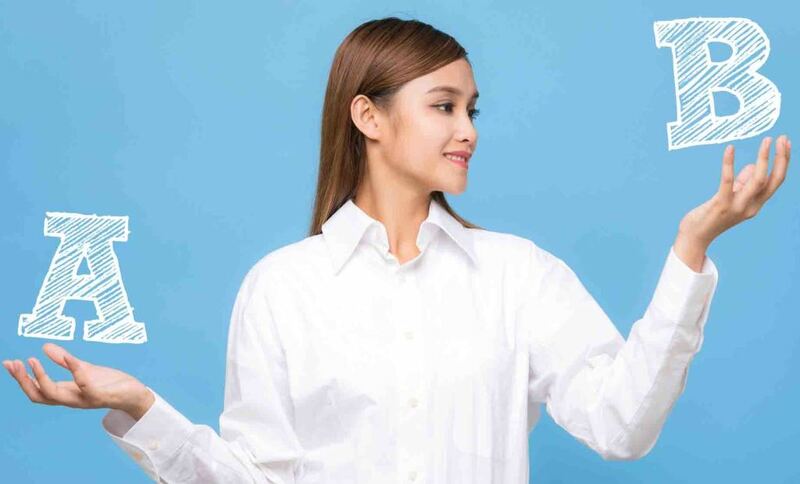 Based on JW Player: The final significant benefit of JW Live is that the company built the platform around the reliable, feature-rich JW video player. Its HTML5 player supports MPEG-DASH playback, CSS skinning, DRM, and other advanced features. Before switching to JW Player alternatives, let’s review pricing plans. JW Player is priced in three tiers. Notably, only the Business and Enterprise plans support live streaming. The price point for these plans are high, as they’re geared toward larger businesses with substantial budgets. Other plans are quite expensive as well. Overall, JW Live seems to target the very large Enterprise market and other big-budget streaming operations. Why Consider JW Player alternatives? 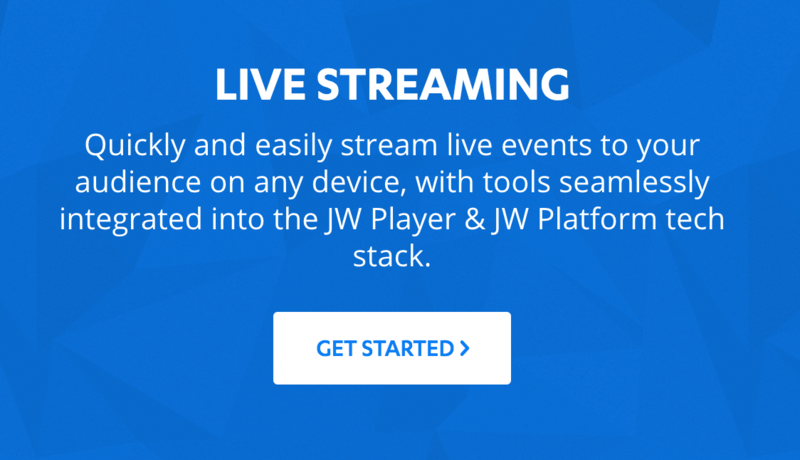 JW Live is a great streaming option for users with a large budget and/or a large business enterprise. However, the platform has a number of downsides. First, there are a number of features missing from JW Live. For example, referrer restrictions are not configurable for specific video players or content. Geo-blocking is only available at the Enterprise level. This limits flexibility regarding rights management. Additionally, only the Enterprise tier supports a paywall for monetizing videos. We’ve also heard reports that phone support for JW Player can result in wait times of more than two hours. That’s an unacceptable delay when running a live event. Now let’s delve into our comparison of two JW Player alternatives. First up is Kaltura, which was founded in 2006 and is based in New York City. Today, the company focuses on large users. These include enterprises, education, media companies, and OTT (Over The Top) television providers. Kaltura offers a wide range of video services. For the purposes of this review, we’re going to focus on two main offerings. This open-source package is available to users in two different ways. Organizations with enough server infrastructure can install this software on their own machines for free. This approach may reduce costs, and supports full customization of the source code. However, it does require ongoing maintenance, which increases technical overhead. KMC is also available as a cloud-hosted video services platform. This version of KMC is comparable to JW Live, but it offers many more features. API access is one of the obvious strengths of the Kaltura platform. Both the KMC (paid accounts only) and the VPaaS platform include access to the Kaltura API ecosystem. This includes full API access, documentation, and code samples. It also offers mobile SDKs to speed development and client libraries for JS, Ruby, Python, PHP, and more. The platform is extremely complex. This means that you can change almost any option you want to customize. However, this can also be a downside for some users. With complexity comes difficulty. 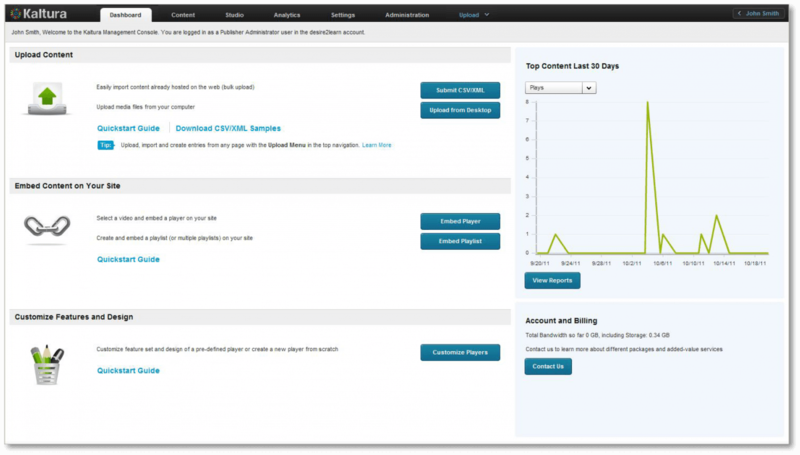 Additionally, it seems that the breadth of features means that Kaltura hasn’t yet created the most polished platform. 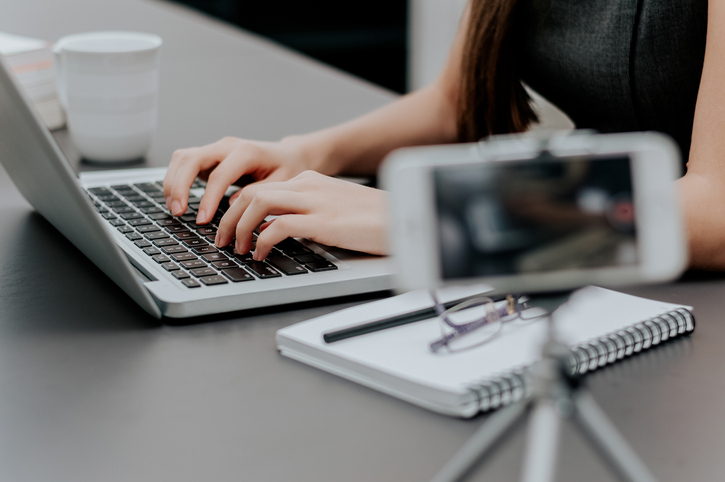 Compared to other platforms, Kaltura is not easy to use, especially for those new to live streaming. Kalura’s KMC offering is free to install if you use your own hardware and hosting. However, the cloud-based installation is expensive. This offering costs $1000 per month or more, and targets primarily large businesses. That cost is quite expensive for a streaming services provider. Additional services like transcoding are costly as well. As such, Kaltura is best suited for large enterprises and other major institutions. In this way, it’s similar to Jw Player. The final alternative that we’ll consider in this article is our very own platform, DaCast Streaming as a Service. While we do think it is an ideal option for many users, it’s not for everyone. Our goal here is to offer an honest comparison to provide you with the best possible information. DaCast was founded in 2010 after two years of development. Between our San Francisco-based office and an office in Paris, we’ve served more than 100,000 live streamers in dozens of countries around the world. The DaCast online video platform is built around an online management platform. From this hub, you can upload and manage content and start live streams easily. DaCast delivers content via the Akamai live streaming CDN (Content Delivery Network), a fast and global Tier 1 CDN. Another great feature of the DaCast video platform is an integrated payment system. When users attempt to watch a monetized video or stream, they see a payment option directly in the video player window. This makes it easy to monetize, even when embedded on many external sites. DaCast is also a white-label service. While JW Live and Kaltura are both white label as well, many free platforms integrate corporate logos. This is true with live streaming on Facebook, YouTube, and other B2C (Business-to-consumer) social platforms. For users looking to create custom solutions and integrate video services with existing workflows, an API is ideal. The DaCast video API uses the REST standard to allow access to all of the functions of the platform. This equips users with some powerful abilities. For example, some DaCast users resell the live streaming functionality they have purchased. These users can use the DaCast API to create an entire video hosting backend. This relies on the DaCast infrastructure, but it is ultimately invisible to the end user. Other use cases for the API include coding custom apps including your video or audio content. There is also comprehensive documentation and a sandboxed testing environment available. Since we’ve briefly discussed JW Player, let’s mention the DaCast video player as well. The DaCast player includes both HTML5 functionality, the latest and most versatile protocol. You can also customize the player to match the colors and branding of your site. However, many users want more control. Using a custom video player like JW Player, Flowplayer, Video.js, jPlayer, and others is simple with DaCast. The choice is ultimately yours, and we’re here to help with whichever option you choose. The main attractions for DaCast fall under a number of different headers. First, the platform uses the lightning-fast Akamai live streaming CDN. Akamai uses a network of servers around the world to deliver content from geographically close location to users. This ensures low latency, fast delivery, and reduced buffering. Most people consider Akamai to be the top CDN in the world. Second, the platform supports most advanced video streaming and video hosting features. These include monetization, white-label service, geographic fencing, referrer restrictions, DRM, and social integrations. DaCast offers all this at an affordable price. That makes DaCast highly competitive with other live streaming platforms on the market. Finally, the DaCast support options are extremely attractive. The service offers online 24/7 support (via phone for Pro and Premier users). Wait times on support calls are never more than a few minutes. That rapid response can be essential for live events, and it sets DaCast apart from other competitors. Compared to other platforms, DaCast is very affordable. 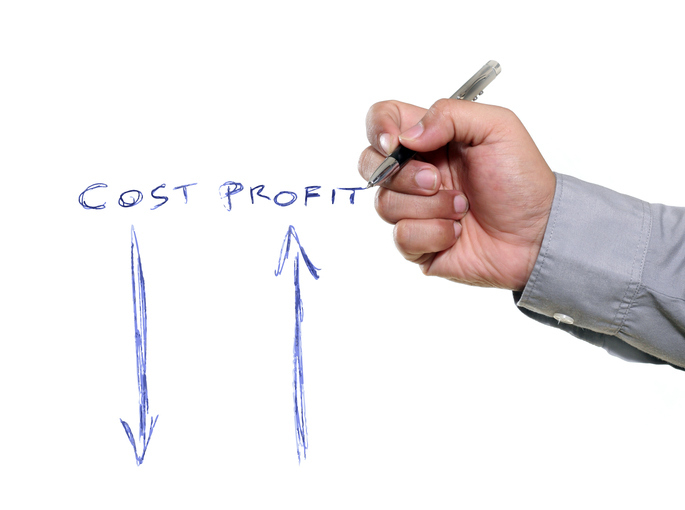 In fact, it’s one of the most cost-competitive in the entire video services marketplace. As mentioned above, we pride ourselves on offering high-end features at rates affordable for individuals and small to mid-sized business too. In addition, DaCast offers many features in its starter plan that competitors only offer at higher pricing plans, if at all. Higher bandwidth options are available as custom plans. 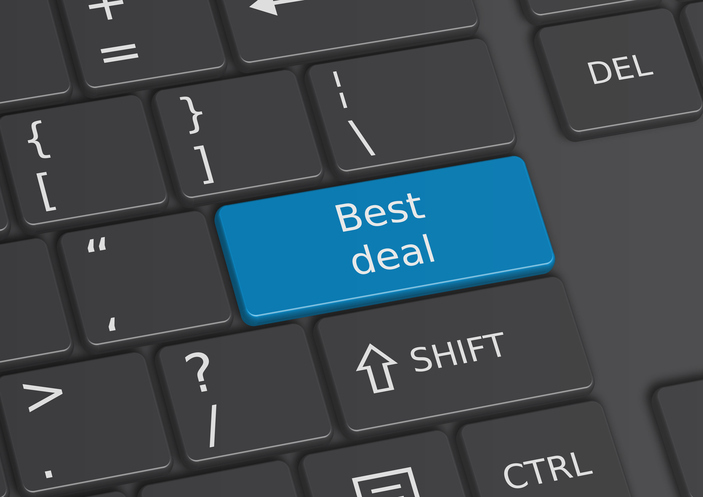 For users with one-time or irregular needs, this “event pricing” is the best option. Prices start at $0.06 per GB starting at 20 TB of prepaid bandwidth, and fall from there as the amount of bandwidth needed increases. As you can see, JW Live is a solid video services platform. However, it does have some significant competition. Depending on the user and their needs, JW Player alternatives DaCast and Kaltura could be a superior choice for you. This series of articles has covered a number of other providers as well, so check out our blog for more comparisons. We love to hear from our readers! Tell us what you think about JW Player or JW Player alternatives in the comment section below. For tips and updates on live streaming, join our LinkedIn group. Of course, we do have some self-interest here! After reading this comparison, we hope you’ll give DaCast a try. We offer a 30-day free trial that allows you to test all our live streaming and video hosting capabilities. Ready to give it a try (no credit card required)? Just click the button below to start streaming in a matter of minutes. As always, thanks for reading and good luck with choosing the right streaming platform for you!